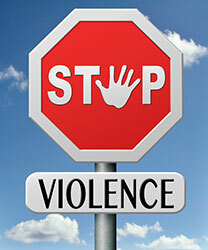 In conclusion to our three-part blog The Facts about Workplace Violence, below we will focus our discussion on what can be done to reduce the incidence of occupational violence in the U.S.
Reducing and Preventing Workplace Violence in the U.S. Regularly train their employees on how to identify, respond to and report any signs of workplace violence. Installing surveillance devices, like security cameras, panic buttons, etc. Conducting ongoing training for employees when it comes to how to deal with any incident or indication of potential workplace violence. Employees have the right to safe workplaces that are free of known dangers. Employers do NOT have the right to retaliate against employees who report unsafe working conditions, including those that may be related to possible occupational violence. Employees have the right to report employers’ violations or lack of response to workplace violence to OSHA. Have you been injured at work? If so, Denver Workers’ Compensation Attorney Jennifer Bissetwants you to know that she is here to aggressively advocate your rights and help you obtain the benefits you need and deserve. All of the experienced legal professionals at the Bisset Law Firm are dedicated to providing each of our clients with the highest quality legal representation, keeping each of our clients informed and in the loop at every stage of their cases and, ultimately, helping them obtain the best possible results for their cases.